This is a sponsored post written by me on behalf of DenTek for IZEA. All opinions are 100% mine. When your child’s teeth begin to wiggle through his gummy smile, you can add teeth brusher to your list of titles and parental responsibilities. 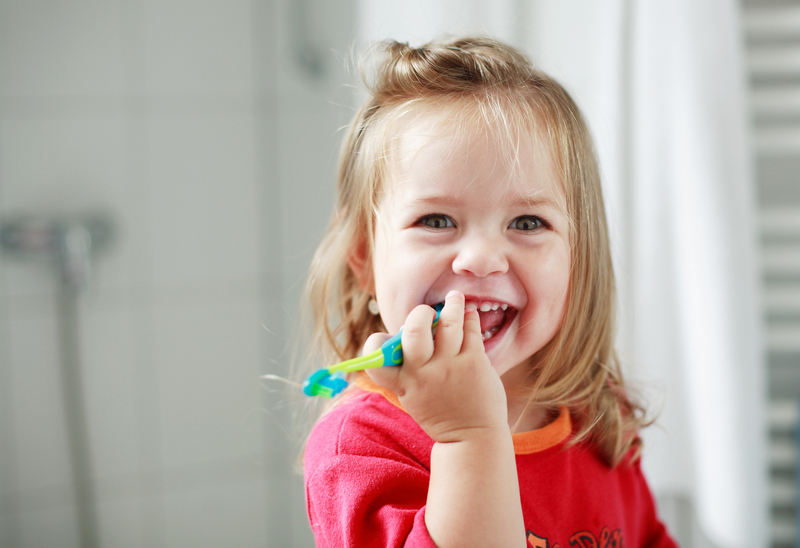 Teaching healthy dental habits – brushing and flossing – is essential from the start. Kids will need your help until they’re able to properly brush and floss without missing spots – generally around the age of 7 or 8. Most parents skip one key part of dental health – flossing. While brushing is the main way to combat cavities and bacteria, flossing between tiny teeth is what gets the food and plaque out of hard to reach places a toothbrush can’t. When food and bacterial plaque settles between teeth and isn’t removed by flossing, this can lead to gum disease, tooth decay and halitosis – all completely preventable when you have healthy dental habits – and starts when your child is a tot. DenTek® Kids Fun Flossers make teaching little ones how to properly floss simple because they’re built for little hands. They feature a smaller head, an easy-to-grip handle, and a wild fruit flavor kids will love. Your local Walmart has all your flossing essentials in one easy to find spot at an everyday low price and will help you begin to teach the importance of proper oral care. Here are the facts on creating healthy dental habits and what proper brushing and flossing looks like. 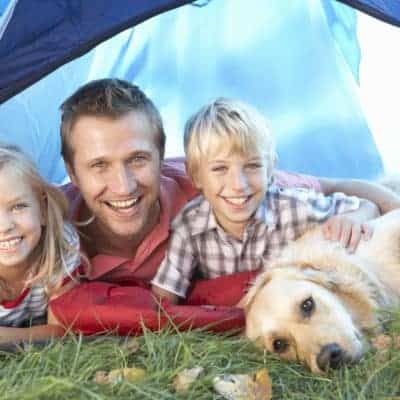 You’ll also find tips on incorporating these healthy habits in your family. As a fun bonus, your family can join mine in the DenTek® 30-Day Flossing Challenge. It’s never too early or too late to start building healthy habits and the benefits built over just 30 days of flossing are life-long. Be sure to print this free 30-day Flossing Calendar to chart your progress and celebrate! 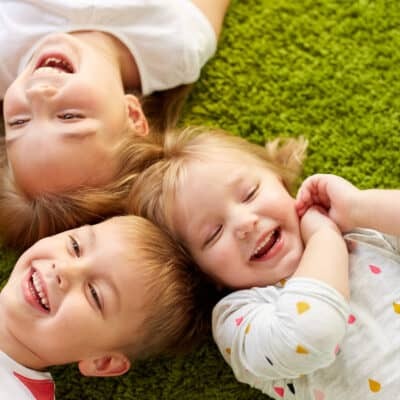 Flossing should start once kids have teeth next to one another. It’s important to add flossing into your morning or bedtime (or both) dental habits; floss at least once a day. 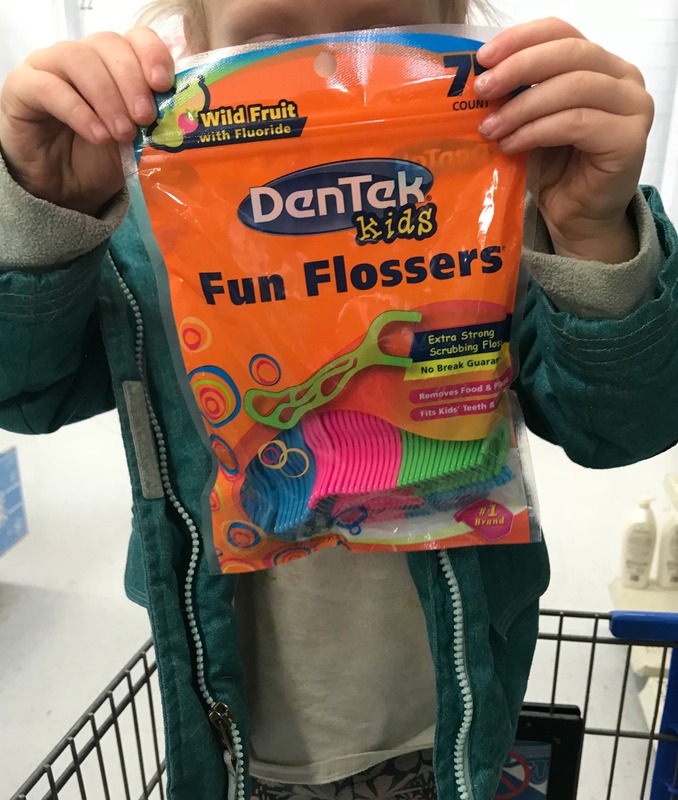 DenTek® Kids Fun Flossers make it easy to get your kids involved in flossing and wiggling floss between teeth along the bottom and then the top. Don’t use too much pressure when flossing between teeth, you don’t want to cause pain or blood. Gently slide the floss up and down each side of the tooth and under the gum line. Don’t reinsert plaque so be sure to move the floss around for a new piece each time. Keep them in your bag, on your nightstand, in the kitchen drawer, and keep them in the car so you and your kids can floss on the go. DenTek® Triple Clean Floss Picks: gives user 3 times the cleaning action in one floss pick. Flossers scrub between tight teeth, stimulates gums, and gently removes food and plaque that toothbrushes can’t reach. Textured pick deep cleans between teeth and stimulates gums. Tongue cleaner fights bad breath with minty flavoring. Strong floss is guaranteed not to break and has advanced fluoride coating. Even before those pearly whites pop through, it’s a good idea to start introducing a soft bristle or rubber toothbrush. Let them chew on the brush when they’re starting to teethe, and gently rub a soft-bristled and age-appropriate toothbrush over gums with water. Stay away from fluoride toothpaste because you don’t want them to swallow it. Don’t use a washcloth or gauze because this causes confusion with your tot about the proper way to brush. Start with a toothbrush from the start to ease into full brushing when teeth come in. Before your kids start using a toothbrush, the best thing you can do is brush your own teeth in front of them every morning and night. This subliminal message lets your child see brushing and flossing is something you do every day, twice a day, without fail. As a rule of thumb, parents should be involved in daily tooth brushing until the age of 7 or 8, and if they do brush on their own, be sure to inspect your child’s teeth for missed spots. Limit snacks, sugary foods and drinks throughout the day in between brushing times. Visit the dentist every 6 months for professional cleaning and exam. Avoid fluoride toothpaste before the age of two or until your child learns how to spit and won’t swallow the toothpaste. Use a soft-bristle toothbrush; harder bristle toothbrushes are too abrasive for little kid’s mouths. Electronic, battery-powered toothbrushes are great at gently removing plaque from the teeth and gums and make the brushing experience fun. Replace toothbrushes every 3-4 months, or sooner if the bristles are worn out and frayed. It’s a good idea to replace toothbrushes after your child has a cold or gets the flu so you don’t reintroduce those germs. Brushing and flossing is as important as wearing sunscreen and a seat belt in the car. They’re critical for overall long-term health! Here are some healthy practices which will make teeth brushing and flossing a habit, and not a chore. ​When your toddler and children are older, take them to the store to choose his own toothbrush, toothpaste and flossing picks. While you may think a Star Wars toothbrush looks silly, it could be exactly what your son needs to be inspired to brush twice a day. You can find DenTek® Kids Fun Flossers at Walmart and you’ll love how handy they are for little kids to learn how to floss on their own. DenTek® Kids Fun Flossers: makes flossing fun and enjoyable for children while establishing healthy dental-care habits at an early age. Have fun with your routine so your child doesn’t associate teeth brushing and flossing as a chore. Sing a fun son for two minutes while you brush, count teeth while you floss or create a fun jingle together. Turn your morning and bedtime dental routine into a family activity. When you’re standing together in the bathroom, brush and floss together. No one can become good at something without a little practice and the best way to practice brushing and flossing teeth is by watching yourself in the mirror. Have your child stand in front of a mirror and watch themselves, while you brush their teeth for them. Try to stand behind them so they can see their mouths as the toothbrush moves around. Point out where and how you’re brushing and talk your way through proper flossing so they can see and hear how to brush and floss. All habits are formed by doing them repeatedly. Brushing and flossing need to be a part of your morning and bedtime routine; stick to the same time and going in an unchanged order each time. Brushing and flossing shouldn’t be an afterthought you throw in when you’re running out of the house for school or at different times in the evening. Healthy dental habits need to be a daily part of your day, no matter how busy your schedule. 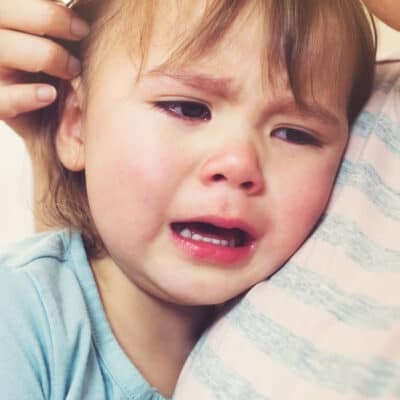 As your child gets older and doesn’t need your assistance to brush – or begins to insist on doing it themselves – it’s Ok to let them take the reins here and there. Just be sure to check their teeth for any spots they’ve missed. Flossing will take longer to learn to do properly, although using DenTek® Kids Fun Flossers makes it easy for little kids to grasp because of the kid-friendly size and ease of already threaded floss. For parents, pick up the DenTek® Triple Clean Floss Picks so you can floss alongside your kids. 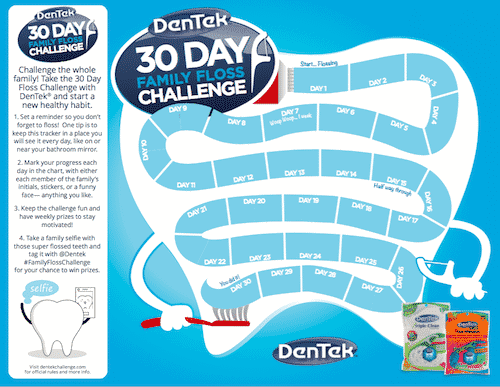 DenTek® is hosting a 30-Day Family Floss Challenge from December 26th, 2017 – March 31, 2018. Will you join my family in this fun challenge? You can download the 30-day calendar to mark your progress. Visit your local Walmart to pick up your DenTek® flossing essentials and get started asap. Remember, it takes 30-days to create a habit and this is the perfect opportunity to create a positive one to set your child on a positive course for good health and oral care for the rest of their life.